I have been asked to draw your attention to the AAAS Science Technology Policy Fellowship that now has placement opportunities for the new U.S. Social and Behavioral Science Team. This is an outstanding opportunity for would-be Nudgers to bring our science into practice serving the public interest through various government agencies. The application deadline is Nov 1st for a fellowship that can last up to two years. Only individuals with a doctoral-level degree can apply. 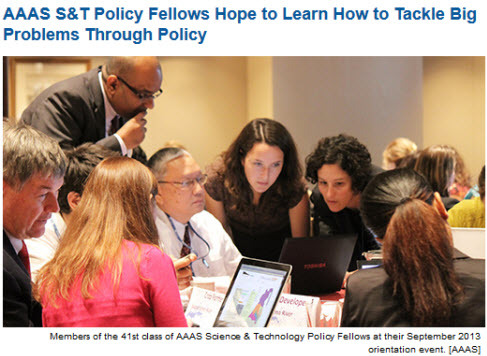 AAAS Science & Technology Policy Fellowship was written on October 24, 2013 and filed in Jobs,Programs,Research News.